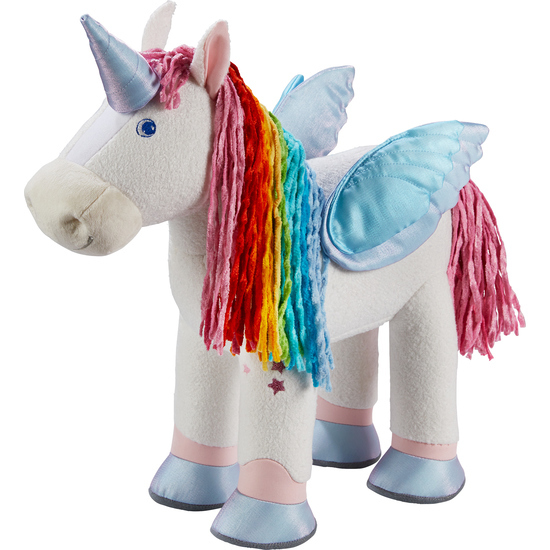 When unicorn Rainbow Beauty flies or gallops around the children’s room, his beautiful rainbow mane flutters in the wind. Loyal, snuggle-some playmate for all unicorn lovers. Quilted body, chenille mane and tail, corduroy feet.